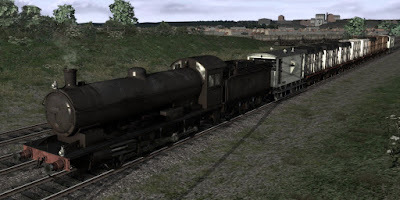 Today we have the last of the Raven Q6 blog posts before its release showing the rest of the included rolling stock. 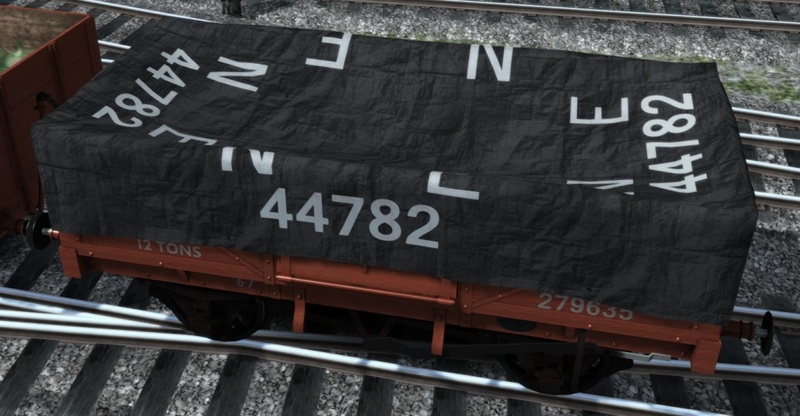 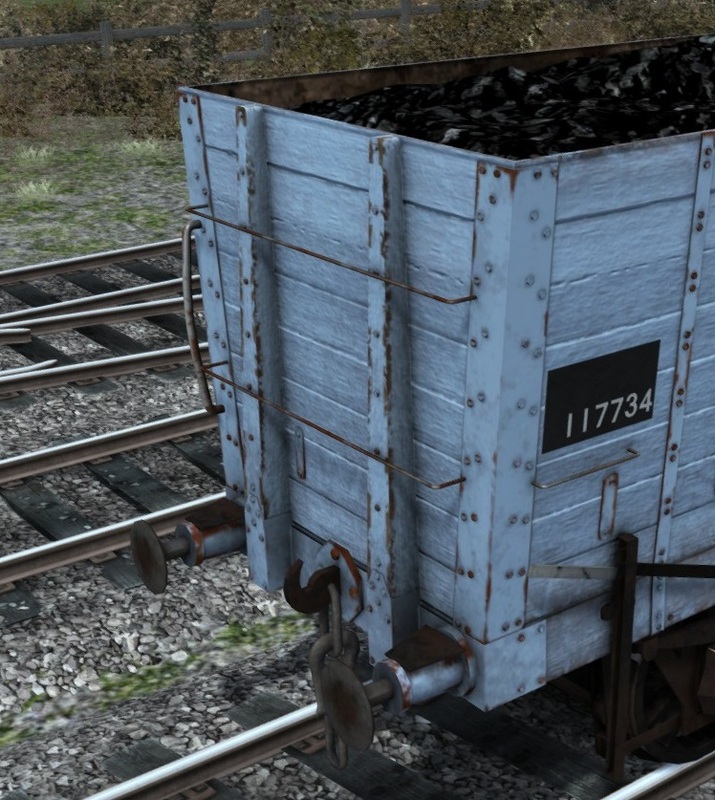 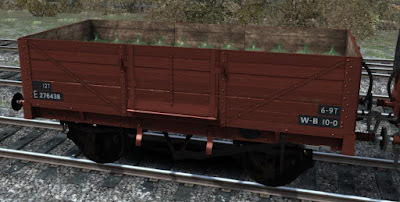 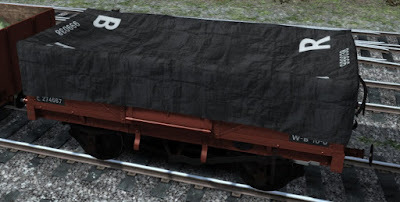 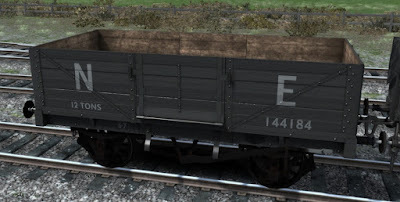 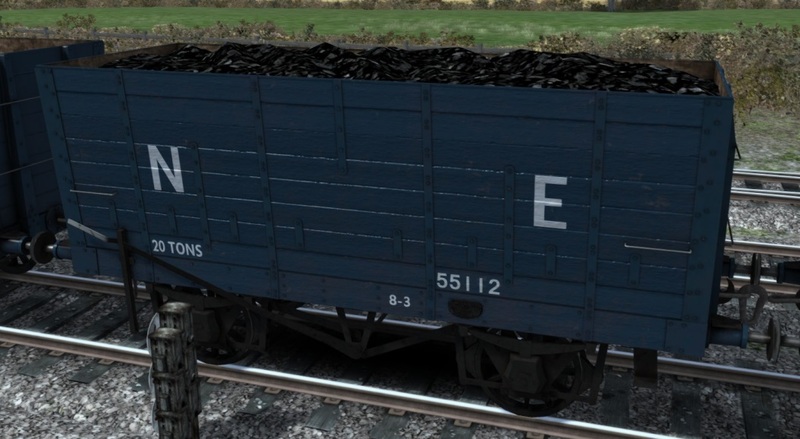 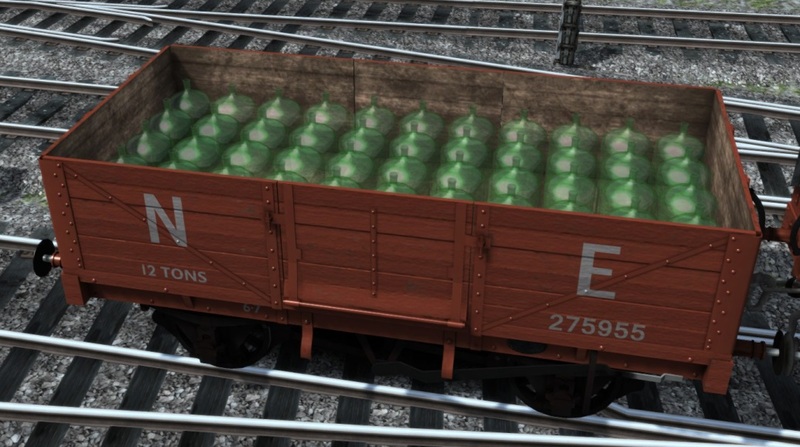 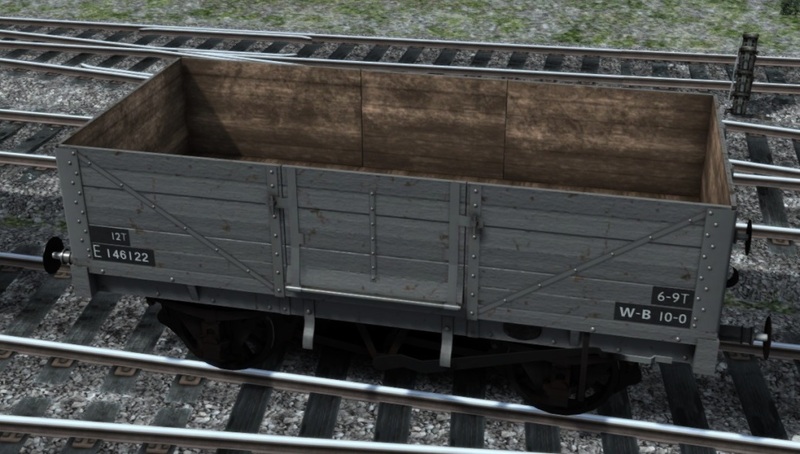 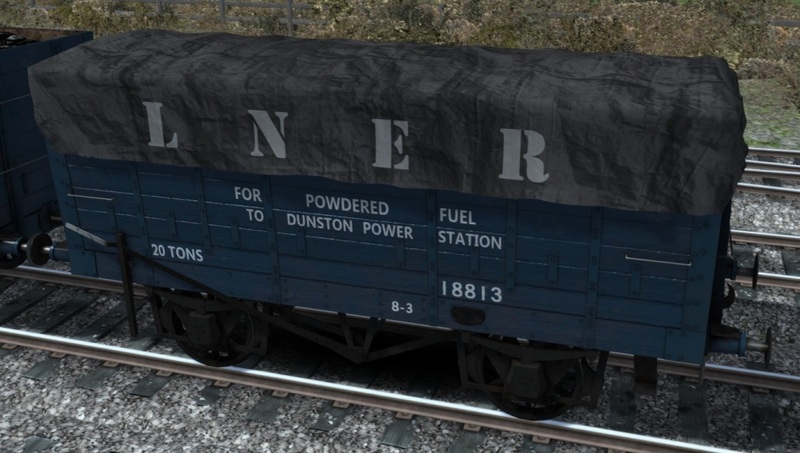 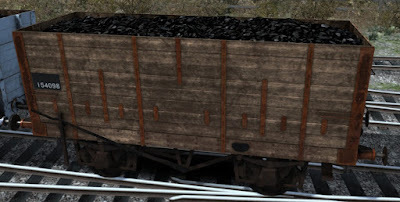 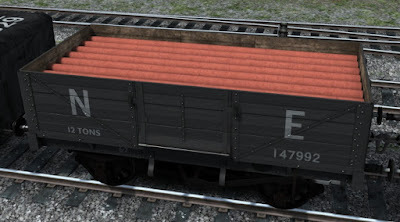 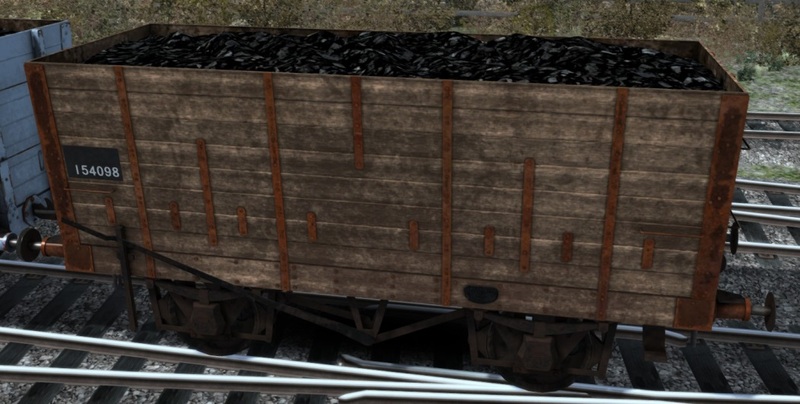 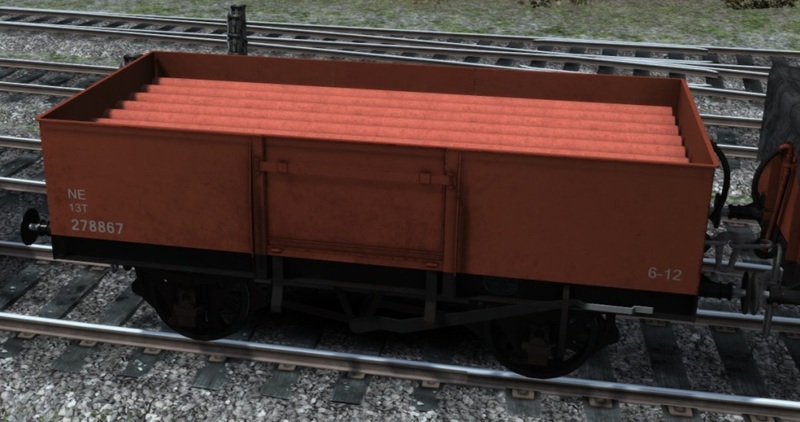 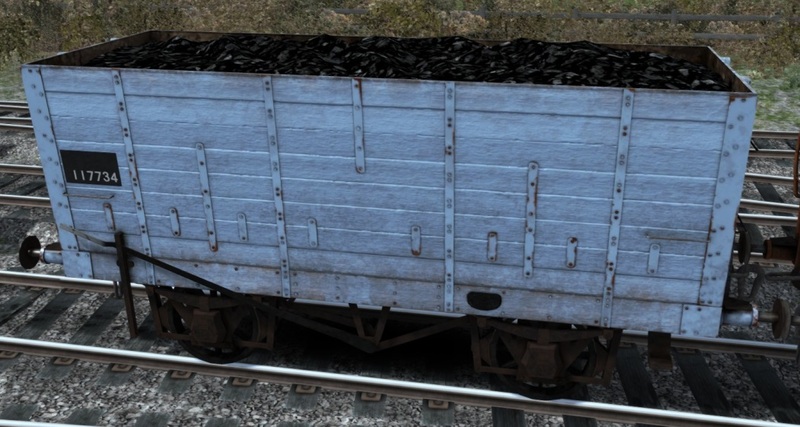 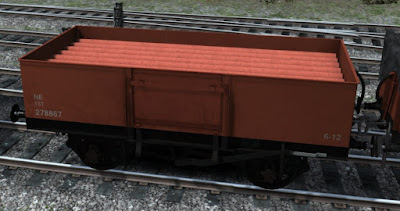 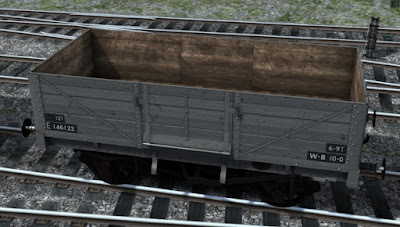 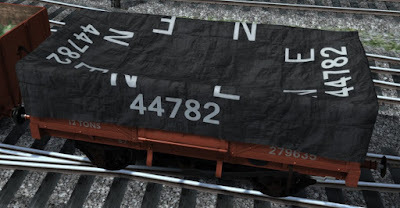 Continuing the trend of heavy freight the next item of stock is the NER 20 ton coal hopper wagon. 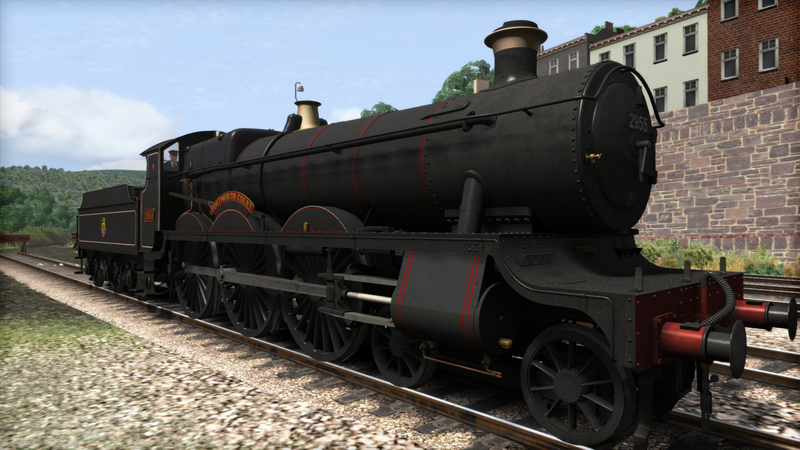 These were being built in huge numbers from 1903 and in total there were over 17,000 of them on the network. 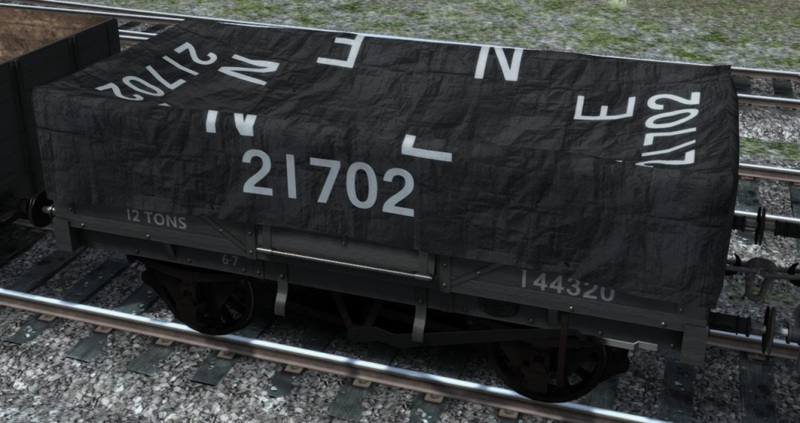 This particular version was to Diagram 12 of which 7,000 were built and they were used on heavy coal trains from the numerous pits in the North East of England. 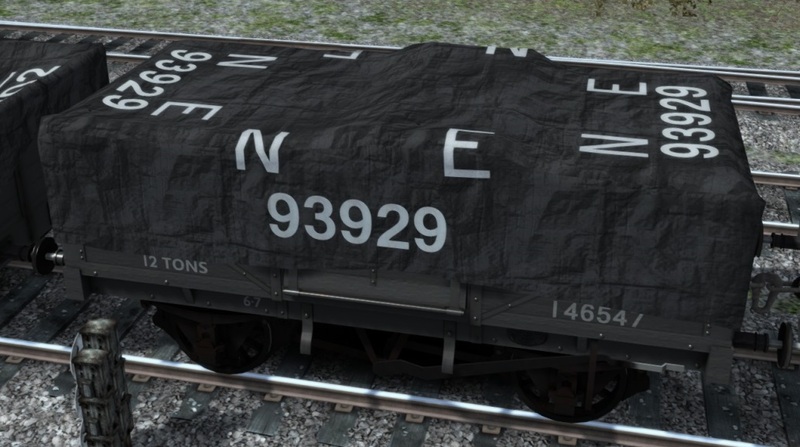 .. and also as a coal dust carrier. 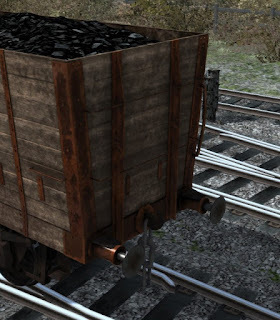 Coal dust was surprisingly useful (being effectively a "left over" product from all the coal for fires) and was used extensively by power stations. 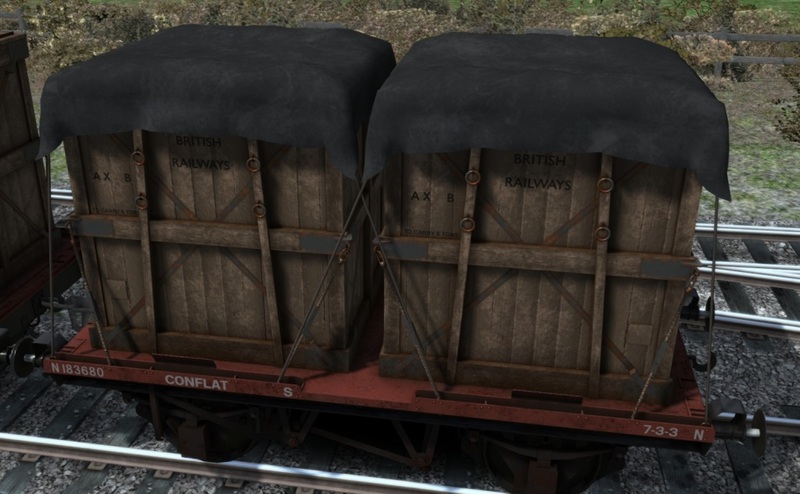 Carried in these hoppers a tarpaulin would be securely placed over the filled wagon to stop rain turning it into 20 tons of coal paste! 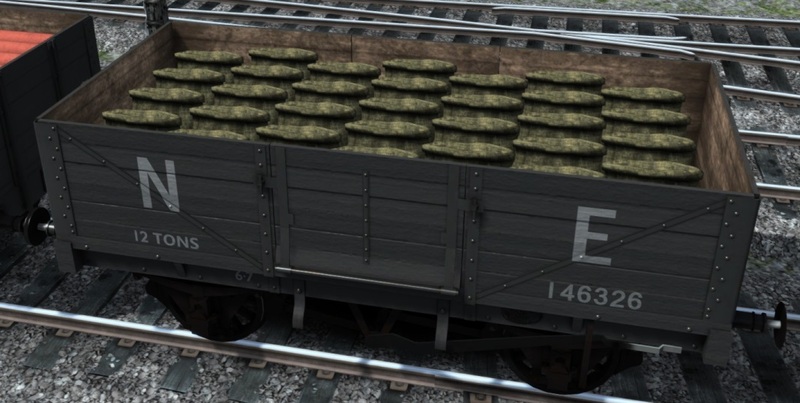 These hoppers became part of BR stock in 1948 and were so useful that there are reports of them still being seen working as late as 1968. We have provided these in a worn BR grey and also as they later appeared, with all of the paint worn off and the metal fittings suitably rusted. These are both supplied as empty and full versions. 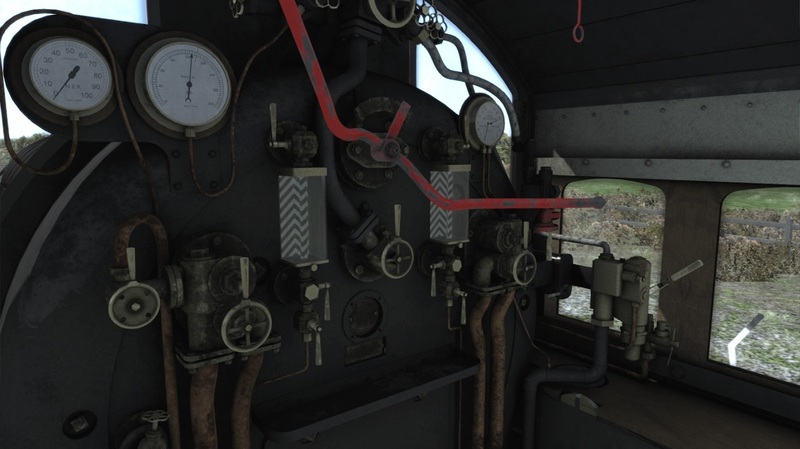 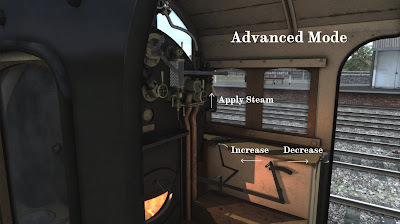 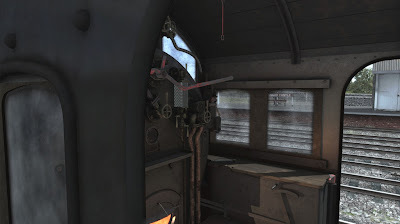 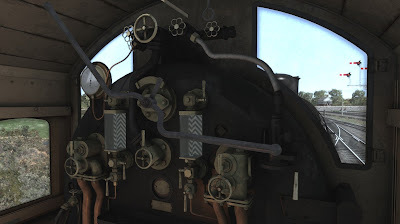 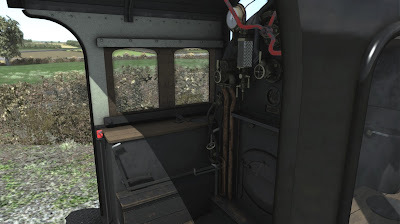 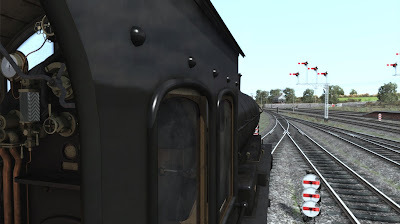 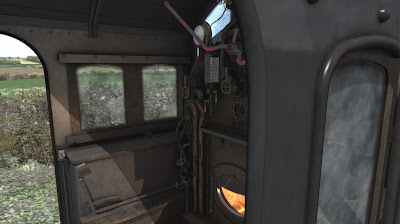 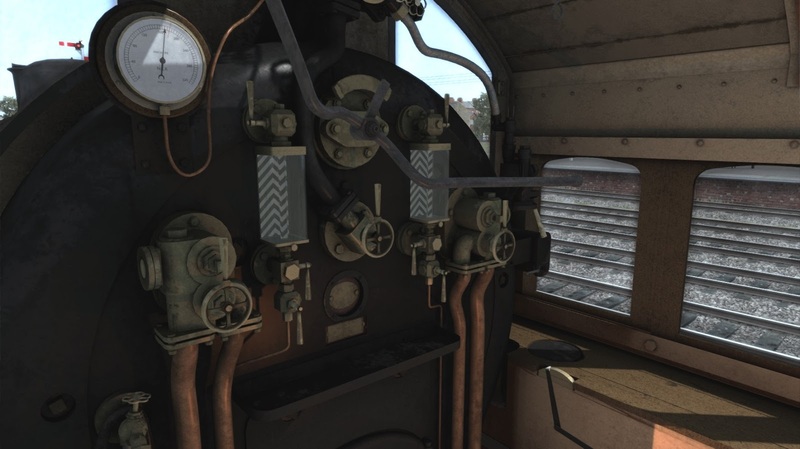 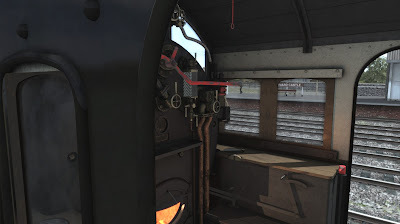 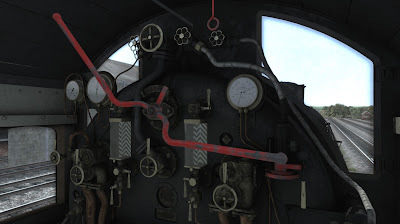 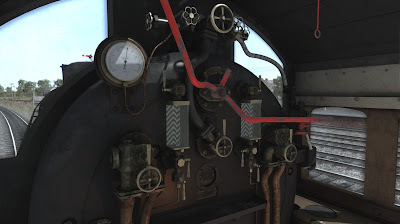 And it would not be a Victory Works product without an option so mixed into the authentic numbering is the choice of the original wooden or later metal end supports seen below on the BR versions (both types are available for all NER and BR liveries). 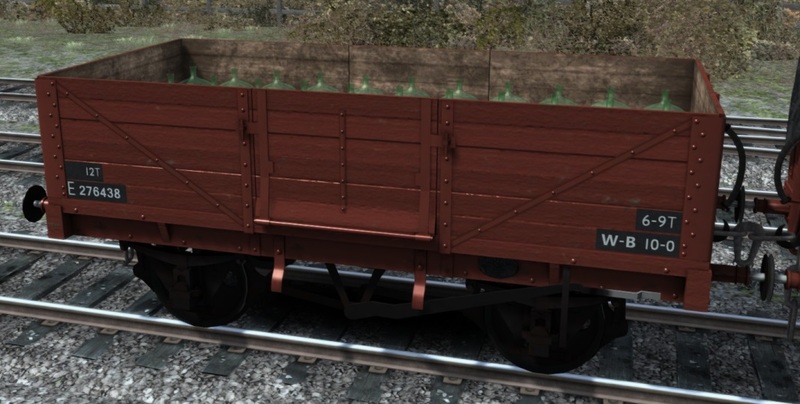 Interestingly the wooden end supports would have originally extended downwards below the frames by about a foot to form drop buffers for use against chaldron wagons but the LNER decided to saw them off from 1925. 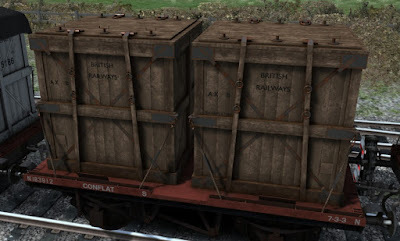 Finally we have everyones favourite container mover, the conflat. 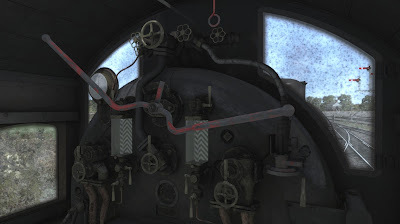 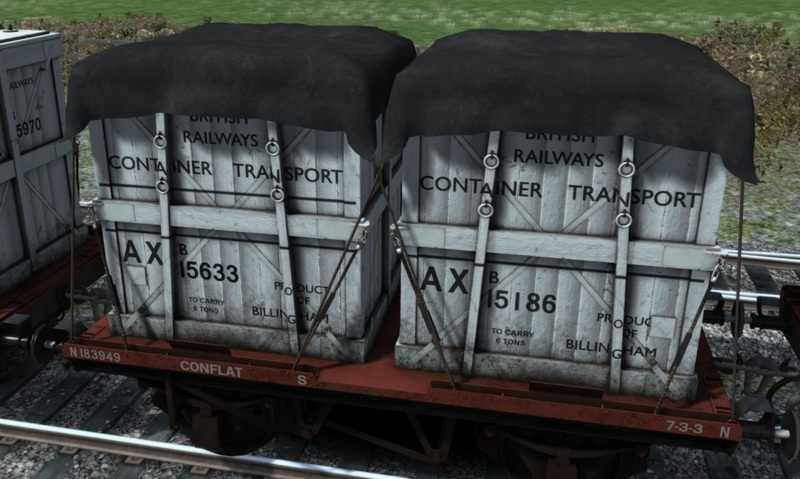 We have built conflats before for various products as they are extremely versatile and can be used to depict many loads but we are pretty sure that this type is new to Train Simulator (it certainly is for us) - the BR Conflat S, seen below in it's unloaded state. 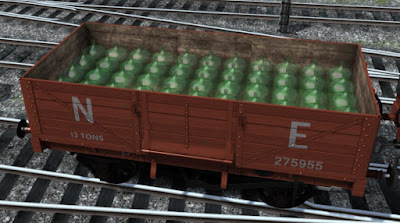 Cardice, solid CO2 or as it's also known.. dry ice. 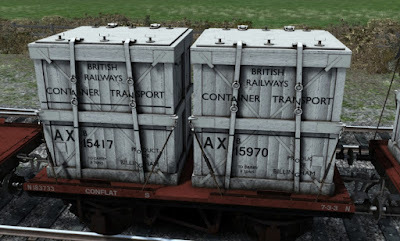 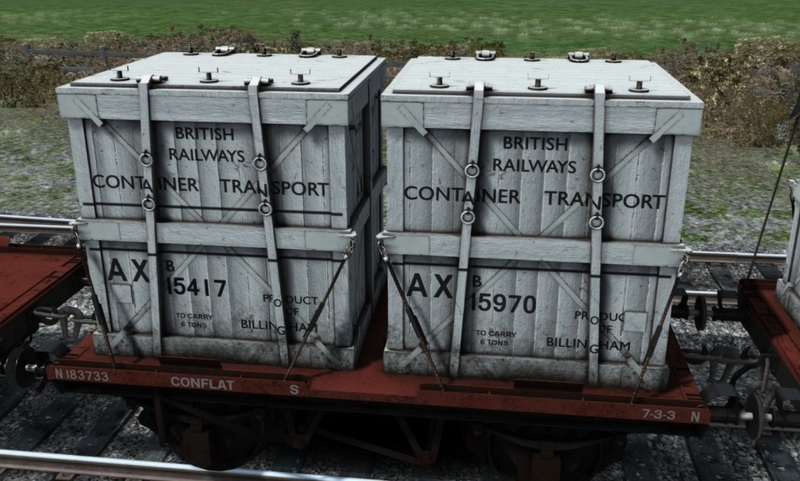 Loaded in these large insulated containers (2 to a conflat) it was used heavily in the food industry but also in manufacturing and a large amount of it was produced at a plant in Billingham and as well as being used locally was carried all over the Northern network by the railways. 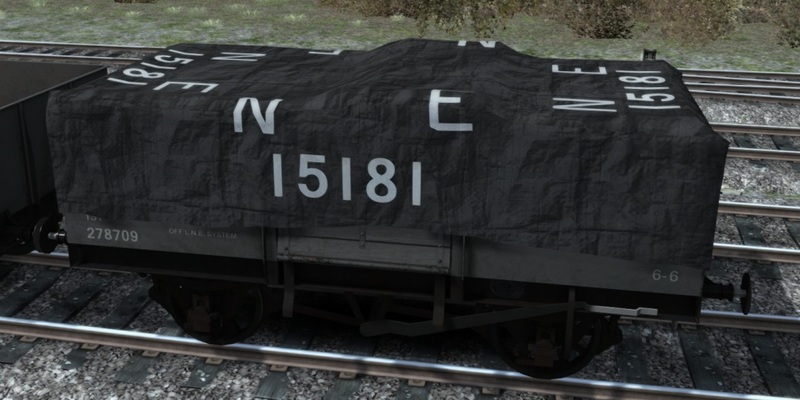 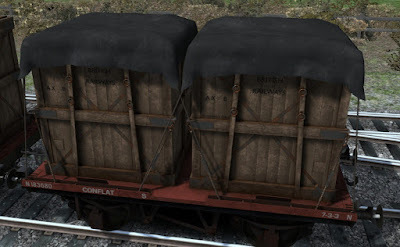 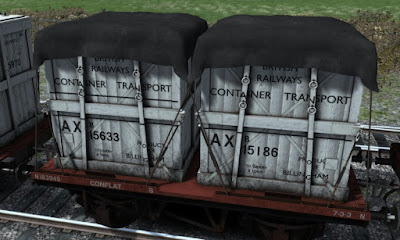 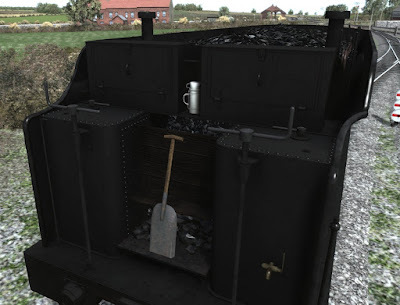 We have seen these crates uncovered as seen above, covered with a tarpaulin and have also seen some unpainted instances all within a single train. 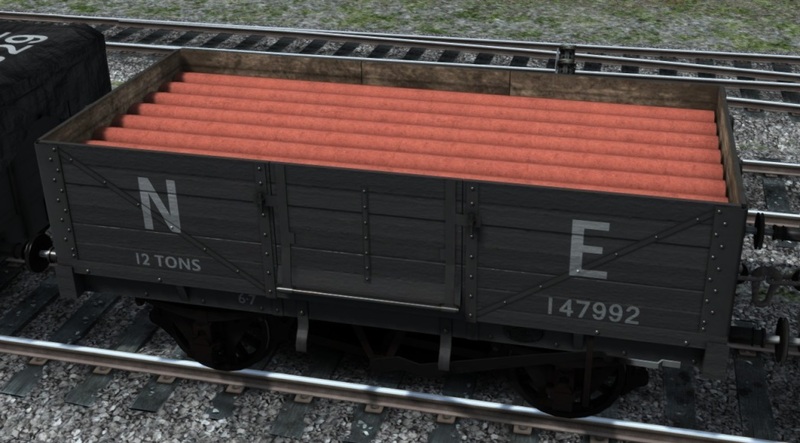 We have provided all of these (along with the empty conflat) so you can create a nice mix of consists. 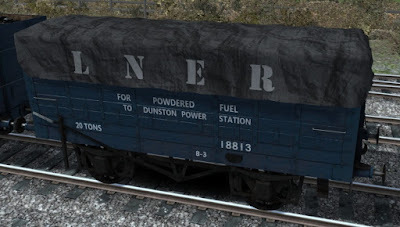 And that brings us to the end of the Raven (LNER) Q6. 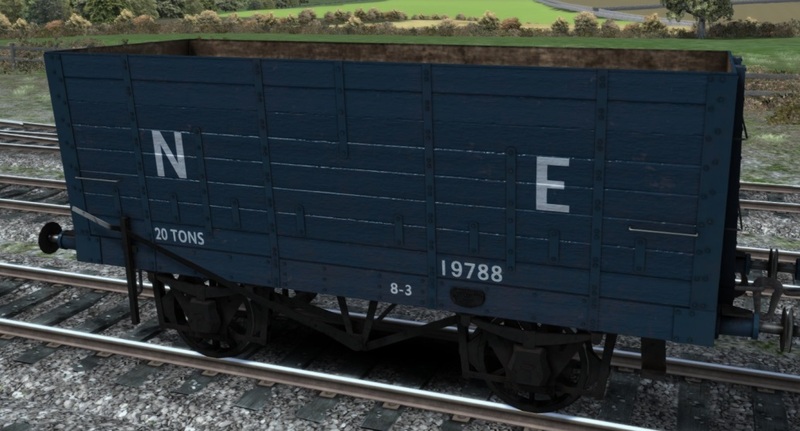 We hope you have liked what you have seen and we are expecting that it will available to purchase very soon. 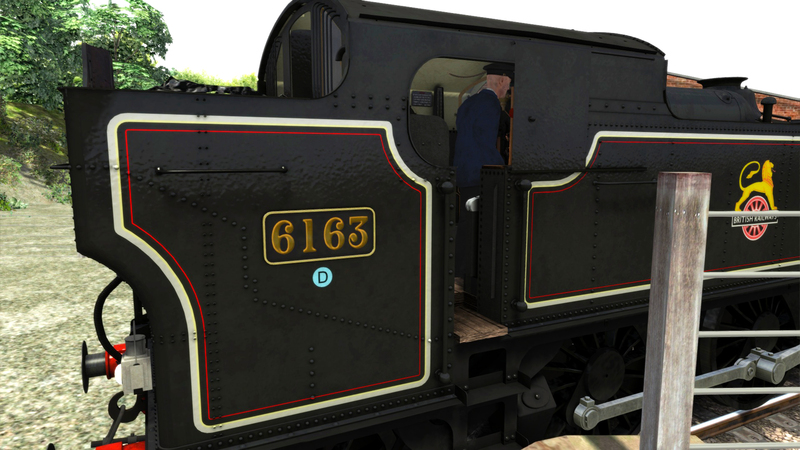 Meanwhile there is no rest for us and we are straight into our next project, the GWR (1000) County class. We had a little play earlier in the week with a new idea and now we need to build an engine to attach them to!